Tom McCamus backstage (Saint Joan, 2017). BERNARD SHAW (1856-1950), the acclaimed dramatist, critic and social reformer, was born in Dublin where he grew up in an atmosphere of genteel poverty. He attended four schools and was tutored by a clerical uncle, but left his formal schooling behind him at the age of 15. He developed a wide knowledge of music, art and literature under the influence of his mother, a singer and vocal music teacher, and as a result of his visits to the National Gallery of Ireland. In 1876 he moved to London, where he spent his afternoons in the British Museum, and his evenings pursuing his informal education in the form of lectures and debates. Bernard Shaw declared himself a socialist in 1882 and joined the Fabian Society in 1884; soon he distinguished himself as a fluent and effective public speaker and an incisive and irreverent critic of music, art and drama. Shaw’s first play, Widowers’ Houses, was produced privately in 1892 for the members of a progressive theatre club called the Independent Theatre Society. It was followed by The Philanderer and Mrs Warren’s Profession. Published as Plays Unpleasant (1898), these Bernard Shaw plays reflect Shaw’s admiration for the “new drama” of Ibsen. More palatable, though still rich with challenges to conventional middle-class values, were his Plays Pleasant (1898) which included Arms and The Man, Candida, The Man of Destiny andYou Never Can Tell. In 1897 Shaw attained his first commercial success with the American premiere of The Devil’s Disciple, which enabled him to quit his job as a drama critic and to make his living solely as a playwright. In 1898 he married Charlotte Payne-Townshend, an Irish heiress whom he had met through his Fabian friends Beatrice and Sidney Webb. Bernard Shaw’s plays first attained popularity in London through a famous repertory experiment at the Royal Court Theatre from 1904 to 1907. Among his plays presented there were the premieres of John Bull’s Other Island (1904), Man and Superman (1905), Major Barbara (1905) and The Doctor’s Dilemma (1906), the latter two of which were performed at the Shaw Festival in Niagara-on-the-Lake in 2010. Pygmalion, by Bernard Shaw, by far his most popular work, was first performed in 1913. 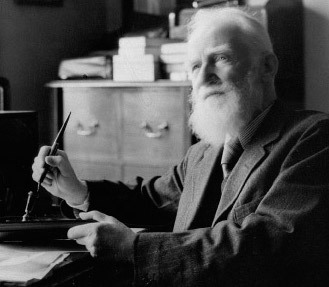 During World War I, Shaw’s anti-war pamphlets and speeches made him very unpopular as a public figure. In Heartbreak House (performed 1920) he exposed the spiritual bankruptcy of the generation responsible for the carnage. Next came Back to Methuselah (1922) and Saint Joan (1923), acclaim for which led to his receiving the Nobel Prize for Literature for 1926. Shaw continued to write plays and essays until his death in 1950 at the age of 94.